Following are some problems that I find fairly frequently in guitars. I've created this page both as a reference for customers and as a reference for those of you shopping the used guitar market. 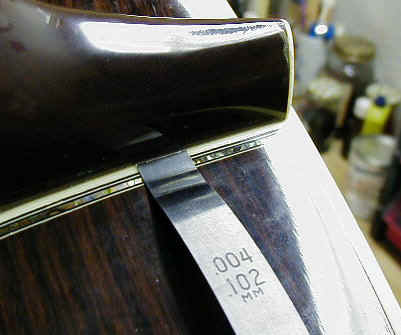 This is a gap between the heel and the body of the guitar. While these can be "normal" and due to a poor fit or a rotating neck block, I usually find that they're the result of a loose heel. Either the shims in the dovetail have compressed (or were not fit tightly to begin with), or the neck has come loose and slipped a little. Whatever the reason, I don't like to see them, and I usually reset the neck to get that gap closed down. Because the neck is tiliting forward, you usually will typical neck-reset symptoms of a low saddle and high action. It's roughly a 3:1 ratio from the heel to the saddle, thus a .010" gap at the heel will cause a .030" difference at the saddle, which translates to an action change of .015". Therefore, "false neck reset" symptoms in these loose heeled guitars can usually be fixed by simply removing and re-shimming the neck, making them considerably easier repairs than a full reset where the heel much be trimmed. Of course, if your neck angle is off a little, now is the perfect time to get it right. Following are some examples- you're looking at the light shining thru between the heel and the body. In many cases, I find these in guitars where the owner ties their strap the headstock. In these two shots, I'm using a feeler gauge to probe the air gap. That's a .008" gauge on the left. On this particular guitar, I was able to remove the neck by simply loosening the fingerboard extension and wiggling the neck off!! No heat, no steam, and only a few drops of hot water and it pulled right off. It was shimmed with cardboard shims. I mean, c'mon!! A $5000 guitar with cardboard shims? When determining the need for a neck reset, one of the things I check is the neck angle. With the guitar under tension, a straightedge running down the fingerboard should just "kiss" the top of the bridge. If it falls below, a neck reset is probably due, if all other specifications (neck relief, particularly, but also belly bulge) are normal. Here, you can see the straightedge falling well below the level of the bridge top. Note the very low saddle height (that's just a temporary "test" saddle in the slot). When the desired action produces this low of a saddle height, and the straightedge falls below the bridge, we've got a neck reset patient. I'm going to run the "Before" photos on the left and the "After" photos on the right. NOTE: the "After" shots in this case are actually slightly over-humidified- see discussion at end. First thing I do is lay a straightedge across the top, immediately behind the bridge. 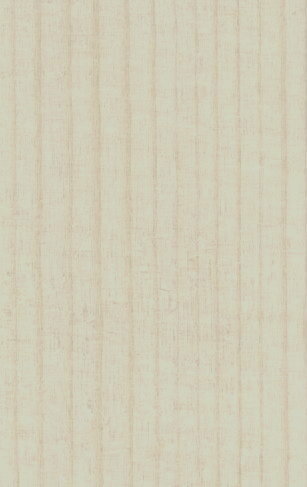 On this guitar, the edge touches both sides of the guitar and you can see the top dipping away from the edge. This is bad news, and indeed, this guitar has suffered a crack (you can see it where the light is reflecting from the herringbone). This is a close-up of the edge of this guitar and you can clearly see the top dropping away from the edge in the "Before" photo. Just for reference I ran a straightedge down the fingerboard. Notice the distance between the bottom of the ruler and the top of the bridge, and compare to the "After" shot on the right. The top (and the bridge- it was along for the ride) rose this much from humidity alone! Another indication of dryness is sharp fret ends. These are caused by the fingerboard shrinking. After humidifying this guitar the fret ends required only minor dressing. Before, they were sticking out far enough to draw blood! I used 2 of my home-made humidifers to get some moisture back in this guitar. You don't want to go too fast or you'll cause more problems. I started with 1 for a week, then went to 2 until the top came up. It took 3 weeks of humidity for the top to pop back up. The crack closed from .004" to totally tight as the humidity took effect. After getting the guitar to this point, I dropped back to 1 humidifier and the top dropped just a tiny bit. I monitored it for 2 more weeks before proceeding to the rest of the work this guitar required (neck reset due to a loose dovetail). I kept the guitar for 4 weeks after the neck reset and it stayed perfectly stable (and in tune!). I take this as evidence that the top's humidity had stabilized.